Getting here from Hanalei: Follow HWY 560/56 towards Lihue until you reach Kapaa after 24 miles. 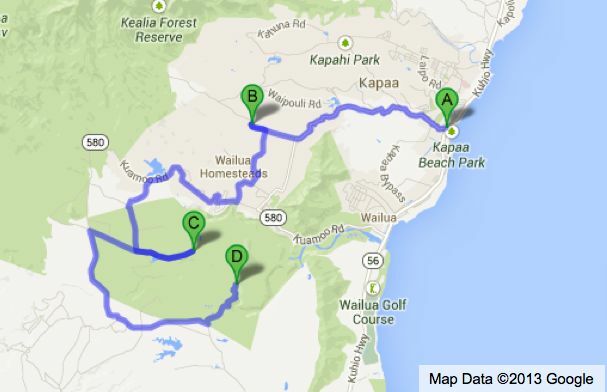 Getting here from Poipu: Take Poipu Road to Koloa and change onto Maluhia Road to the intersection of HWY 50. 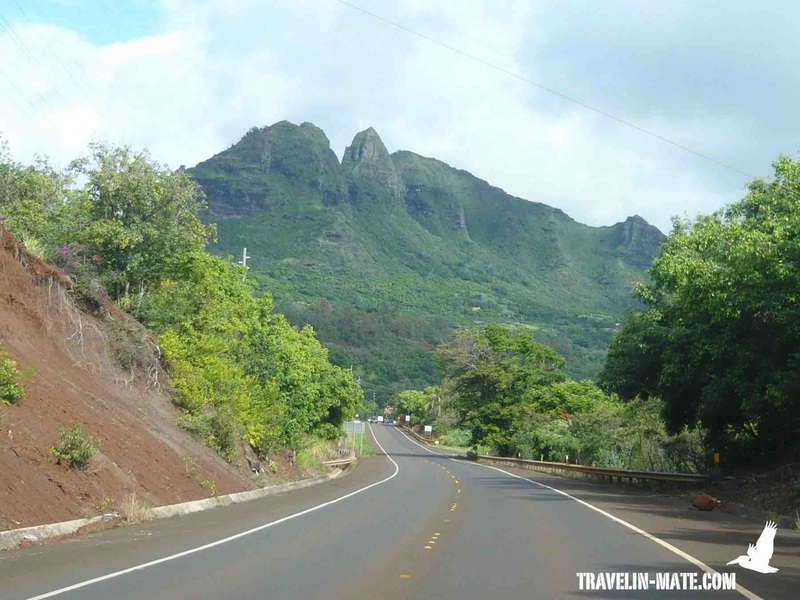 Turn right onto HWY 50 towards Lihue and merge onto HWY 56 to Kapaa. Getting here from Waimea: Make a right on HWY 50 towards Lihue and continue on HWY 56 to Kapaa. 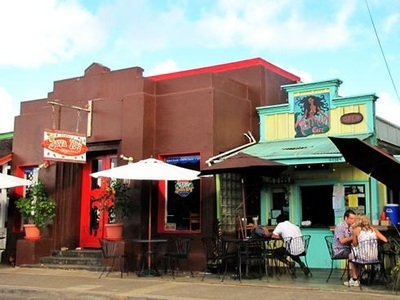 The town of Kapaa is known for shopping on the island. Entering the area you will see plenty of malls with supermarkets and small shops, and two shopping center called Kinipopo Shopping Village and Coconut Marketplace. The latter is the largest shopping mall on the island. The small community by the sea slowly develops into a vacation hub and its surroundings are known for agricultural products like pineapples, crops, coconuts, and other tropical fruits. 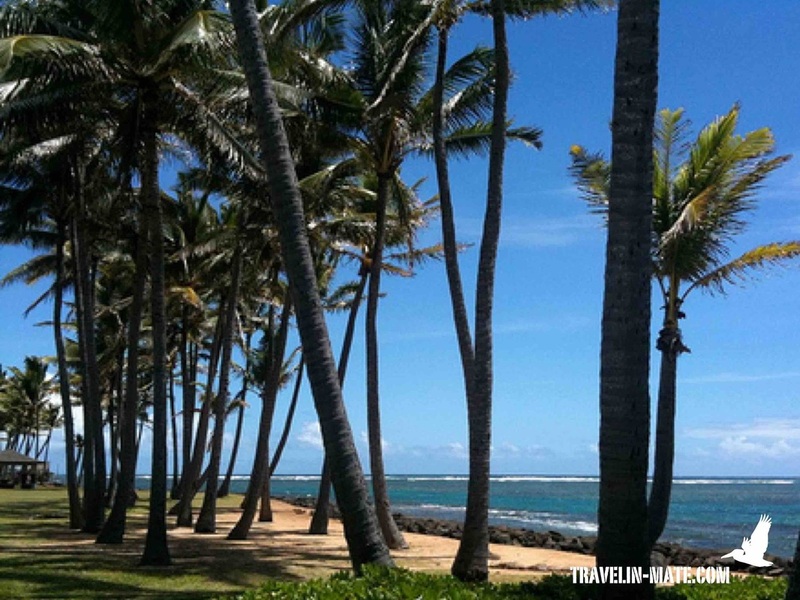 Coming here you should visit Old Kapaa with its well-preserved old plantation architecture and plenty of local merchants and galleries. 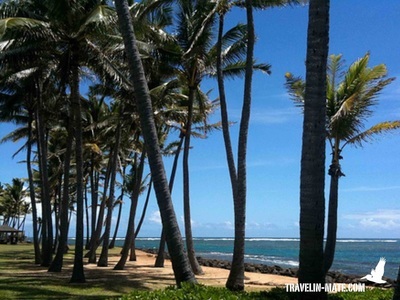 Kapaa Beach itself isn’t great for swimming but opens a nice panorama over the shore while Anahola Beach is protected by a reef and perfect for swimming. Driving towards Wailua you approach Nounou Mountain Range, which is also known as Sleeping Giant since it looks like a man lying on his back. 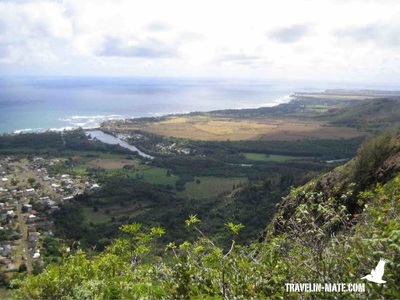 If you are looking for a vantage point over the Eastern shore you can hike two miles to the top of the mountain along Nounou Trail. The moderate path climbs up 1000 ft through a forest and can be slippery/muddy after a rain shower. To do the hike, turn right onto Haleilio Road coming from Kapaa, before entering Wailua. 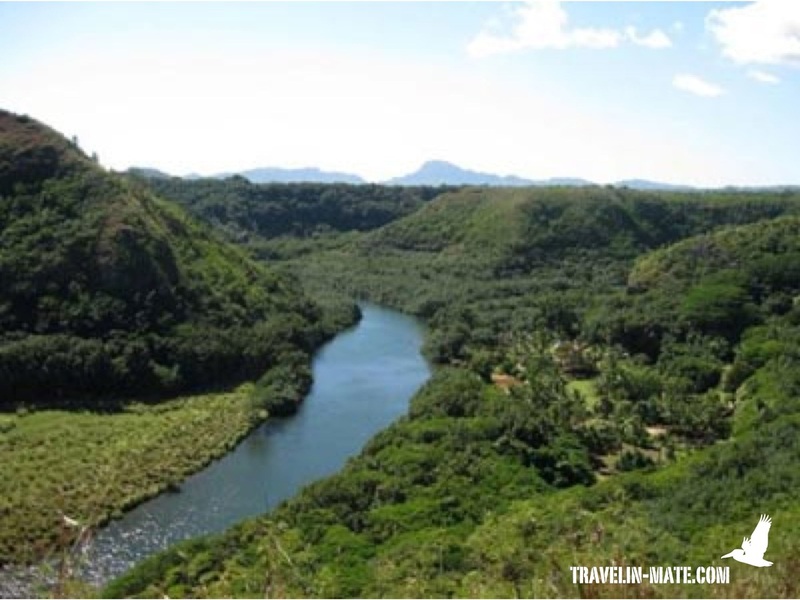 The source of the Wailua River is located at Wai'ale'ale Crater and along its flow down to the ocean it has several interesting spots you easily can explore with a kayak. 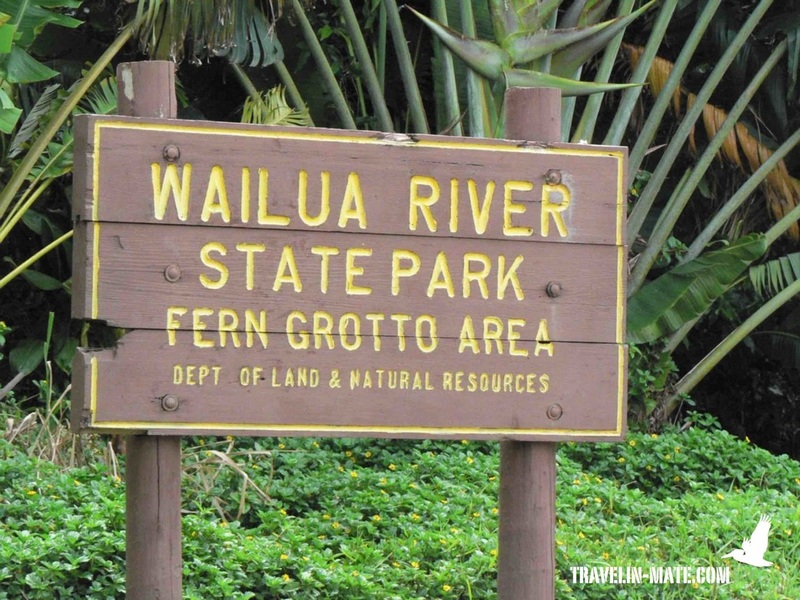 The most popular ones are the Fern Grotto, the Secret Falls also known as Uluwehi Falls, and ancient petroglyhphs. If you rent a kayak you need about 5 hours to paddle 2.5 miles out on the river to park the kayak before you hike another mile to the Secret Falls. You have the choice between a self-guided tour with a map handed out by the kayak renters or a guided tour. 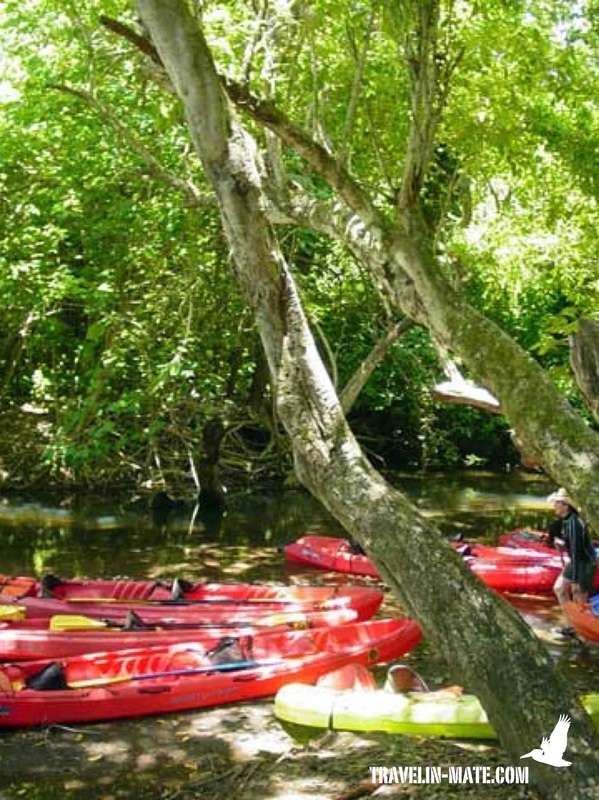 Affordable guided river tours are offered by: Kayak Wailua: http://www.kayakwailua.com/ or Alii Kayak Tours: http://www.aliikayaks.com. 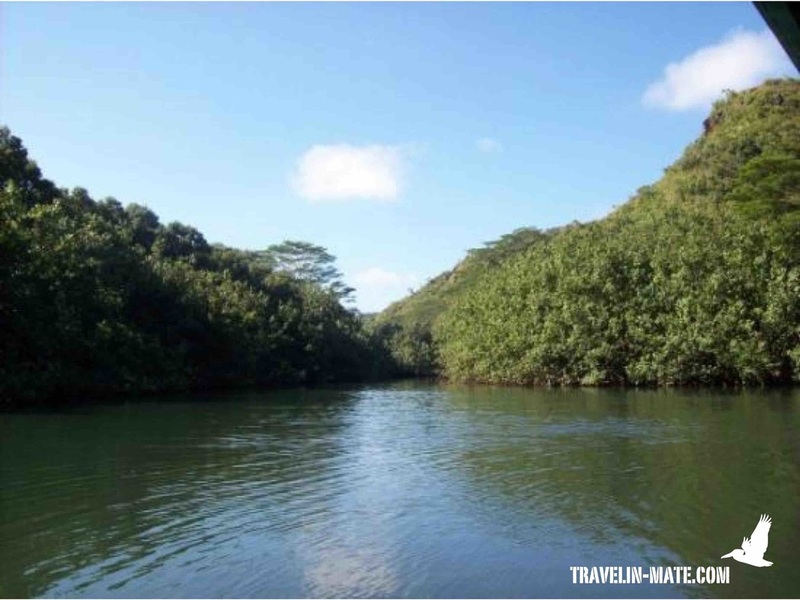 From Wailua Marina you paddle up Wailua River, passing an old Hawaiian village and the lush tropical forest after a while. Thanks to other kayaks that are already tied to a small island you will recognize the parking area at the north fork for your kayak. 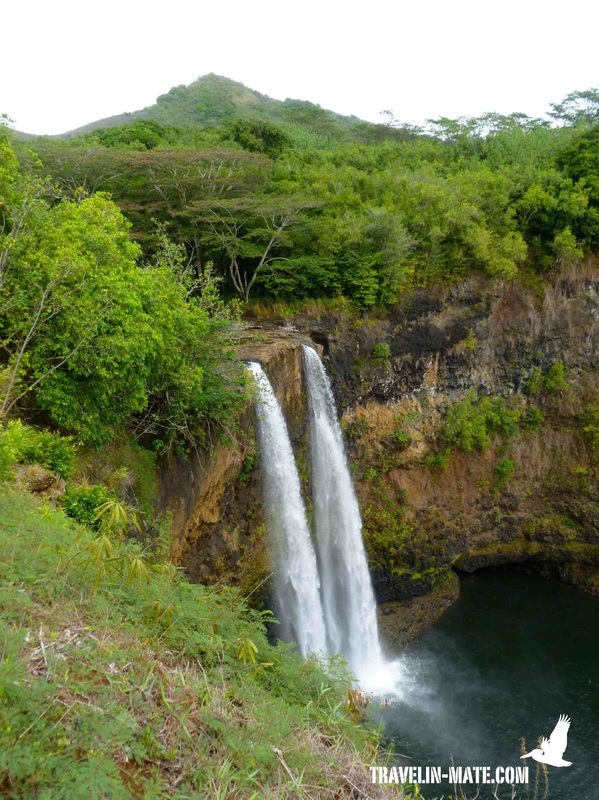 Follow the short trail to the falls where you can rest and have a picnic or swim in the ice-cold basin. Bring bug repellent and sturdy shoes since the path can be very slippery and prepare for rain showers. The best way to explore Fern Grotto is by joining a flat bottom boat tour. Boats departure every 30 minutes at the south side of the river. 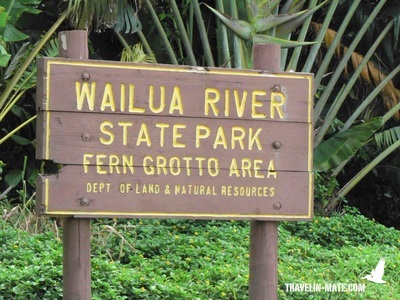 The grotto is a fern covered lava rock and a touristy destination. At the entrance Hawaiian musicians greet you. The path to the grotto is paved. For Wailua Falls take Highway 56 towards Lihue and turn right onto Ma'alo Road, Highway 583, in Hanamalu. At the end of the road you can see the double tier waterfall from the parking lot.